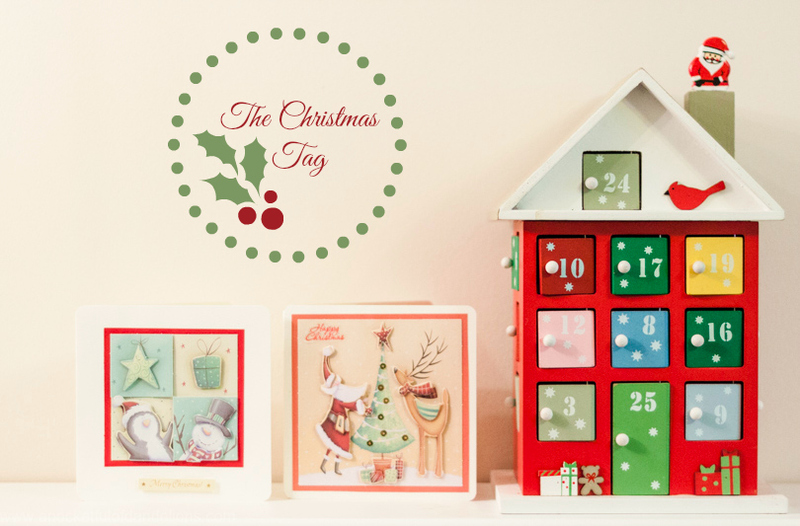 The lovely Jenna at Tiny Footsteps has tagged me in her Christmas Tag post. I am dotty about Christmas so I jumped on the chance to take part. With out a doubt it’s The Muppet Christmas Carol. I have loved it from the very first time I watched it and actually own two DVD copies just in case one ever gets broken. Christmas morning but as kids we were allowed to open one small present on Christmas Eve. Mum would choose which present we were allowed and it was always, without fail, a new pair of pyjamas. When we were little my brother and I used to sleep in the same room on Christmas Eve and we’d spend the whole night daring each other to get up and see if Santa had been. Mince pies but I won’t eat them until after December 1st even though you can buy them in frickin’ October now. My engagement ring. Hubs and I met at work in the August of 2009, started dating in the October and got engaged in the November but it was spur of the moment and Hubs hadn’t bought a ring (he used a metal loop off a keyring instead, which I still have). We moved into our first home on December 23rd and Hubs took me out to buy a proper engagement ring the same day. I love the smell of orange, cinnamon and cloves – the scent of pomanders. I bought the pot pourri cube above at this year’s Christmas Festival. The whole stall smelled of Christmas and it was hard to tear myself away. The bottle of Diptyque’s Pomander room spray is one that my brother bought me many years ago and I bring it out every Christmas. There’s still two thirds of a bottle left and I use it sparingly as I’m afraid of it running out. Last year I filled a small box with little presents for Bubs, including new pyjamas of course, and let her open them on Christmas Eve. We’ll be continuing the tradition this year too and I’ve started gathering together some fun things for her. I’ll be writing a post about it all very soon! A red and white Scandi style star. I can’t ever remember asking for anything extravagant or crazy. We knew from a young age that money was very tight and that we wouldn’t always get everything we asked for. I think that curtailed our expectations quite alot and we were always overjoyed with whatever we received. The Doctor Who Christmas Special! Seriously though, I love having all of my family around me. Back when Hubs and I were struggling with recurring miscarriages I thought we’d never be able to spend a Christmas with our own child, so for me Christmas is all about seeing it through Bubs’ eyes. Now it’s over to you. I nominate anyone who reads this and wants to join in but specifically Jess, Sammy and Gemma if they’re feeling in the festive mood. It’s fun finding all the little bits and bobs to put in the box. They’re pretty much what we would put in her stocking if she had one. Oh it sounds like you have some wonderful Christmas memories, especially your engagement ring – I love the questions I might have to have a bash at it myself sometime!